Ashers went before the Supreme Court in May in a bid to overturn a 2015 judgment that it had broken political, religious and sexual orientation discrimination laws. The objection was to being required to promote the message on the cake. Belfast County Court ruled against Ashers, run by Christian family the McArthurs, for declining an order from a gay rights activist to make a £36.50 cake with the campaign slogan ‘Support Gay Marriage’ for a gay rights event because it conflicted with their deeply-held religious beliefs. But in October 2018 the Supreme Court ruled in favour of the Bakery. Mr Hart, explaining the reasoning behind the decision not to pursue costs, said: “This complex case involved significant issues of wider public interest, including balancing the requirements of discrimination law and human rights. It has strong parallels with a case we supported in 2013 where the Christians lost. It is important to Ashers and to us that the approach to costs now is consistent with what was previously argued. “In that case we argued that each side should pay their own costs because of the wider public importance of the case and because both sides were supported by third parties. In the end that is what the Supreme Court ordered. Mr Hart continued: “It is important to Ashers and to us that the approach to costs now is consistent with what was previously argued. We believe the trend on costs in cases of this nature is a helpful development that improves access to justice. “In other cases supported by the Institute, costs orders have been avoided or limited. This makes it less expensive to pursue public interest cases like this. That is a principle we hope courts will follow in similar cases in the future. “Having set a good precedent on the substance of the case in the Supreme Court, we do not want an unhelpful precedent in relation to costs – even if it might benefit in the short term. “In any event, this case started in the District Judge’s Court, where the recovery of costs is very limited, reflecting the small amount of damages claimed. Later, the limited costs order in the Court of Appeal reflected the same principle. Due to the generosity of Christian Institute supporters, Ashers are not out of pocket as a result of defending this legal action. Thanking those who had supported the McArthurs both spiritually and financially throughout the ordeal Mr Hart stated: “Due to the generosity of Christian Institute supporters, Ashers are not out of pocket as a result of defending this legal action. They have been assisted by The Christian Institute through its Legal Defence Fund. The Legal Defence Fund exists as a restricted fund within the Institute’s finances to ensure that the costs of supporting cases does not impact the general funding of the Institute. 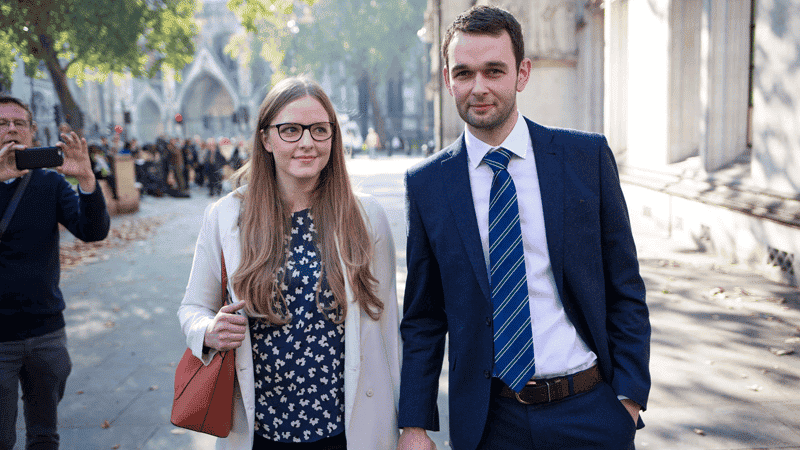 “We are grateful to the thousands of people who have donated to our Legal Defence Fund over the last 12 years to enable us to support cases of national importance to religious liberty like this one.